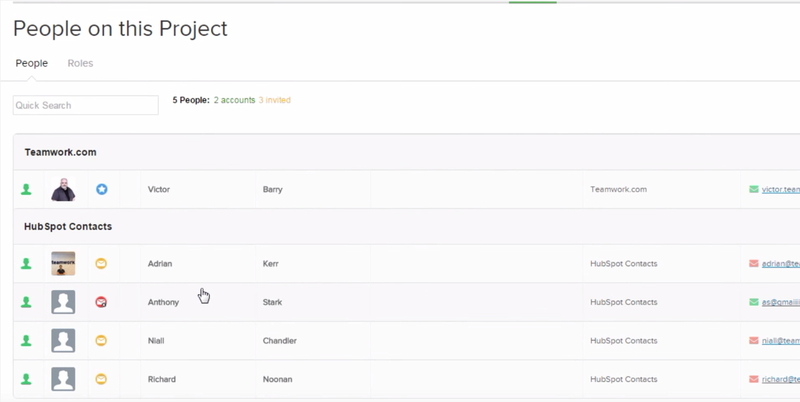 Within Teamwork Projects, you can integrate with HubSpot, create projects directly from deals within your HubSpot account, and automatically add all of the contacts. Note: To use the HubSpot integration, you must first install the Teamwork Projects Chrome extension. Once you have created a deal within HubSpot, click the Teamwork Projects logo next to the title of the deal. In the Create a Project modal, fill in the details as required. If you wish to sync the contacts that are in the deal to the project itself, select Sync HubSpot contacts from this deal. 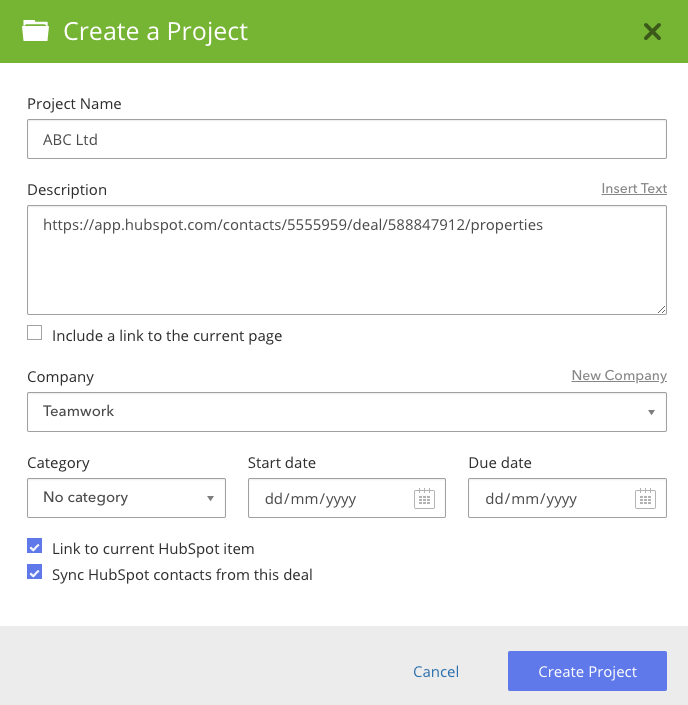 Once you click Create Project, you will find your HubSpot deal contacts in the People section of your project in Teamwork Projects. Clicking on the envelope icon next to a user's name will send an invite so they can join that specific project.